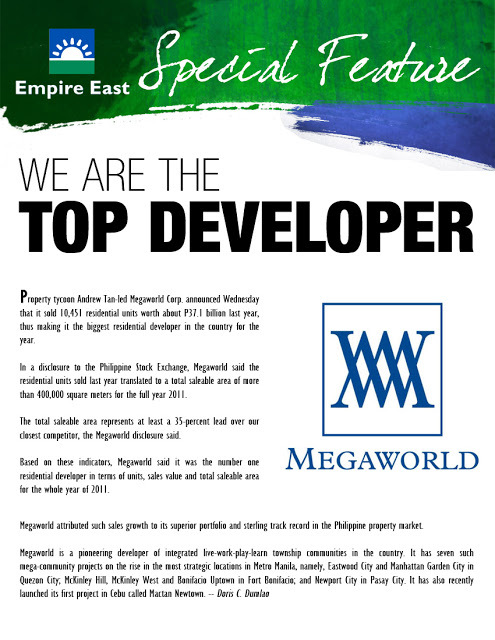 Megaworld top developer in 2011Philippines Daily Inquirer. Property tycoon Andrew Tan-led Megaworld Corp. announced Wednesday that it sold 10,451 residential units worth about P37.1 billion last year, thus making it the biggest residential developer in the country for the year. 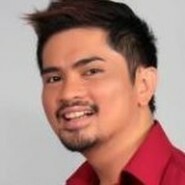 In a disclosure to the Philippine Stock Exchange, Megaworld said the residential units sold last year translated to a total saleable area of more than 400,000 square meters for the full year 2011. “The total saleable area represents at least a 35-percent lead over our closest competitor,” the Megaworld disclosure said. Based on these indicators, Megaworld said it was the number one residential developer in terms of units, sales value and total saleable area for the whole year of 2011. Megaworld attributed such sales growth to its “superior” portfolio and “sterling” track record in the Philippine property market.